I finally got a robe coat last week. It’s great to throw on and it really goes with everything. I love how it keeps you super warm and adds a dressy element. A must have for the next few months of winter. 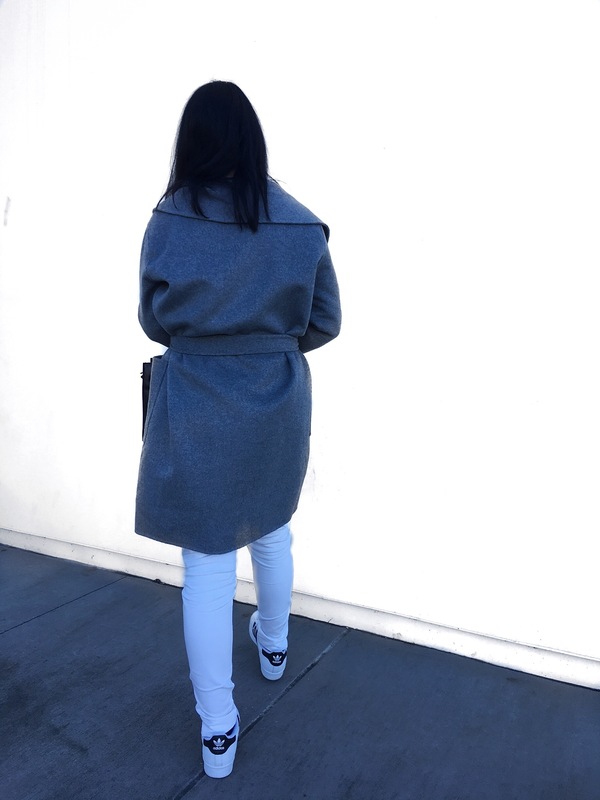 I paired this Mango coat with a flare sleeved sweater and a white pant. Add some Adidas sneakers and you’re ready for all your weekend activities.